The Country Music Hall of Fame® and Museum will spotlight prolific songsmith Red Lane on August 28 as part of the its programming series Poets and Prophets: Legendary Country Songwriters. Lane will treat guests to a rare performance and an in-depth interview at 1:30 PM on August 28. The program, which will be held in the Museum’s Ford Theater, is included with Museum admission and free to Museum members. The program will also be streamed live at www.countrymusichalloffame.org. Museum Editor Michael Gray will host the 90-minute program, which will be illustrated with recordings, photos and film clips from the Museum’s collection. Immediately following, Lane will sign autographs in the Museum Store. Red Lane has been composing bluesy, deeply personal country classics for over four decades, penning hits for Eddy Arnold, Waylon Jennings, Willie Nelson, Conway Twitty and Faron Young. 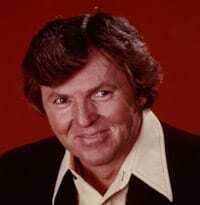 Throughout the 1970s and ’80s Lane wrote classics such as “’Til I Get It Right” (Tammy Wynette), “The World Needs a Melody” (The Carter Family with Johnny Cash), “Miss Emily’s Picture” (John Conlee) and “New Looks from an Old Lover” (B.J. Thomas). Lane also collaborated with Dottie West (“Country Girl”) and Merle Haggard (“My Own Kind of Hat”). More recently, his songs have been recorded by George Strait (“Tell Me Something Bad about Tulsa”) and Lee Ann Womack (“He’ll Be Back”). Lane is also a highly regarded session guitarist who has contributed to classic recordings by Bobby Bare, Clarence “Gatemouth” Brown, Cash, Haggard, Nelson, Billy Joe Shaver, Keith Whitley and more. Lane was born Hollis Rudolph DeLaughter in Zona, Louisiana, (now part of Bogalusa, Lousiana) in 1939. He spent his childhood hoeing corn and cotton alongside his sharecropper father, who began teaching him to play guitar at age nine. Lane was accustomed to life on the move, as his family was always in search of the next field to harvest. In one year alone, Lane attended four different schools. In 1952, Lane and his family moved to northern Indiana, where he graduated high school and eventually joined the Air Force. Lane was stationed in Hawaii where he served as an aircraft engine and airframe mechanic. His guitar prowess won him several Air Force talent contests, and he was asked to perform on the famous live radio show Hawaii Calls out of Waikiki Beach. In 1958, after relocating to a base in Omaha, Nebraska, Lane began playing local nightclubs six nights a week. In order to avoid problems with authorities at the Air Force base, he joined the local musicians’ union under the name “Red Lane,” and the new stage name stuck. Upon his discharge, Lane paid his dues playing in bands around the country, including stops in Indiana, California, Arizona and Texas. He became inspired by Willie Nelson’s songwriting in the early 1960s and decided to take up the craft, primarily as a fail-safe for his career as a guitarist. Justin Tubb convinced Lane to send some of his original songs to Buddy Killen, head honcho at Nashville’s Tree Publishing Company. Killen not only signed him to a publishing deal in 1963, but he also helped Lane relocate to Nashville by scoring him a job as a guitarist and singer in Justin Tubb’s band. Lane scored his breakthrough hit the following year with Faron Young’s “My Friend on the Right,” which earned him his first BMI songwriting award. Since then, Lane has scored a slew of country hits, and his songs have been recorded by artists spanning several genres, including Ray Charles, Elvis Costello, the Del McCoury Band, Englebert Humperdinck, Wanda Jackson, Loretta Lynn, Roger Miller, Jack Palance, Johnny Paycheck and Dennis Wilson. Beginning in the late 1960s, Lane also fronted Dottie West’s band and co-wrote dozens of songs with her. Lane went on to work with two of his personal guitar heroes in the 1970s, scripting the Ride This Train segments with Merle Travis for the Johnny Cash Show and recording as a session musician for producer Chet Atkins, who eventually signed him to RCA records. Lane’s unflinchingly honest love song “’Til I Get It Right” was a Billboard No. 1 hit for Tammy Wynette in 1973 and has since been recorded or performed by Solomon Burke, Bob Dylan, Lorrie Morgan, Kenny Rogers, Trisha Yearwood and more. Lane also forged a partnership with Merle Haggard, who has recorded nearly thirty of Lane’s compositions, including “I Must Have Done Something Bad” and “I Didn’t Mean to Love You.” Lane also added his guitar work to many of Haggard’s recordings and live performances, and he occasionally tours with him to this day. Red Lane was elected to the Nashville Songwriters Hall of Fame in 1993. He remains active in the Nashville songwriting community. The Poets and Prophets series honors songwriters who have made significant contributions to country music history. Previous Poets and Prophets honorees include Bill Anderson, Matraca Berg, Bobby Braddock, Jerry Chesnut, Hank Cochran, Dean Dillon, John D. Loudermilk, Bob McDill, Roger Murrah, Curly Putman, Whitey Shafer, Jeffrey Steele and Craig Wiseman.